Home Senegal Whose land grab is it anyway? Whose land grab is it anyway? In today’s global debate over land grabbing, there is a push from states and the corporate sector to try to distinguish what they consider legitimate land acquisitions from what they concede should be called land grabs. The boundary they try to establish for this is called ‘responsible investing’. The idea is that massive land deals can be win-win, benefiting both private investors who get control over the land and communities who lose it, if they follow a few sensible rules to ensure things like equity, sustainability and ethics. (‘Motherhood and apple pie’, as one World Bank official once described it to us.) For many groups fighting land grabs on the ground, these win-win proposals are red herrings. The reality is that there are a host of barriers that prevent them from holding the companies who are supposedly aspiring toward responsible investing to account. The ongoing land deals in Senegal, and elsewhere, show that communities are even struggling to answer the most fundamental of questions: who should we be holding to account? 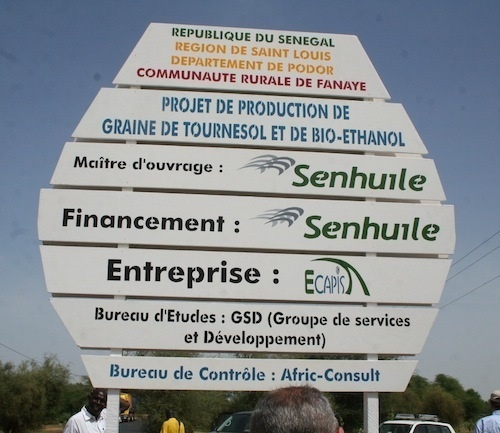 Simply finding out who is behind the land deals affecting the livelihoods of thousands of local people can be a complicated affair, as we found out with our recent research into the Senhuile-Senethanol project in Senegal. The project was initiated by Senethanol SA, a Dakar-based company set up by Senegalese and foreign investors in 2010. Senethanol signed the original lease for 20,000 ha with the rural community of Fanaye to grow sweet potatoes for the production of biofuel for the European market. However, political tensions within the community and against the project degenerated into a violent conflict on 26 October 2011 that left two people dead, several dozens seriously wounded, and a country shocked. The project was quickly put on hold by President Abdoulaye Wade. Soon after, Macky Sall was elected president. By presidential decree, he re-approved and re-located the project to the Ndiael Nature Reserve, where he re-classified 20,000 hectares of forest land as agricultural land for use by the investors. Since then, the project has been implemented by Senhuile SA, a Dakar-based joint venture between Italy’s Tampieri Financial Group and Senethanol SA. The project continues to be a lightning rod of tension and conflict. Thirty-seven villages are directly affected by it. Some find themselves suddenly surrounded by the project and cut off from their grazing lands and water sources, feeling dispossessed by the state and at a loss for how to survive. Others complain of harassment, eviction and poor compensation. In June 2013, three children lost their lives when they fell into a canal that was excavated to bring irrigation waters to the project’s crops. The stated aim of this agricultural project has changed radically over time. It is our understanding that the project no longer aims to produce biofuel, for technical and financial reasons. Instead, it aims to produce sunflower seeds (for export to Europe), peanut seeds (for the Senegalese state, to help overcome a sudden shortage) and animal feed (for the local communities affected by the project). At a local level, frustration has grown with the Senhuile-Senethanol venture but understanding the twists and turns of the project, and knowing who to hold to account for those developments, has proved extremely difficult. On 7th November we released our report on precisely that topic. We spent six months trying to uncover who was behind the project in Senegal, and to investigate allegations that the various ill-fated projects might have been a cover for money laundering. We began by trying to trace the individuals behind the project. This was no easy task. The identity of some of the investors turned out to be hidden both legally (in the US and Senegal) and politically (in Senegal and Italy). We had to tap professional investigators in several countries, as we could not obtain information that should have been available and accessible to all. In our quest for information we got directly in touch with APIX, the Senegalese agency for the promotion of investments, but were asked to pay a bribe in order to obtain basic documents relating to the investors. We also looked at what role Italian legislation might be playing in the directions taken by these kinds of overseas agricultural projects. After half a year of research, we were able to uncover much of the complex web of questionable actors and shady legal structures that are connected to the project. Still, questions about the ultimate ownership of the project remain. Thus, whilst the immediate impacts of these land acquisitions are clear in Senegal, who is behind these acquisitions and what are their ultimate intentions are, remain shrouded. 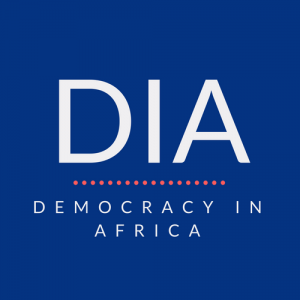 As large scale land acquisitions continue in Senegal and beyond, the political importance of such secrecy should not be underestimated.